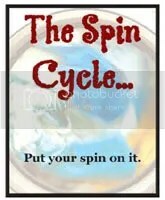 Spin Cycle: Free for All!! Sprite’s Keeper decided to go easy on us this week. Its a free spin. Write about whatever we want. So, I am taking the time to shameless promote my new project! The back story behind my project is long and complicated. When I was a girl, I never felt beautiful or confident. My parents tried to help me, but it never got through. One day, I noticed that these same tendencies that I had growing up, were things the girls did too. And I decided that had to change. But as I looked around my corner of the world, I noticed that other girls and boys were going through this too. The more I looked around, the more I realized that kids were cutting on themselves for attention, sending naked pictures of themselves to others, copying celebrity scandals and headed to a bad place fast. What can I do is what I thought? What can I do that would make any sort of difference? So, I started with my blog and I am working on getting work shops together. My thought is a simple one, if I can effect just one person, I can make a difference. I enlisted the help of two wonderful women, who happen to be moms, Tricia from Shout and Amy from FiveFlowerMom. So, if you are interesting in what we are doing, click here. If you want to join, grab a badge and start writting. You are making a difference in starting this project. I think you are going to find that there are many of us out here that grew up feeling like you did and many that still struggle today with these feelings. Many of us are mothers and you and I both know that how we feel, does affect our children. It is time to break these cycles so that our children can feel differently. I think your project is eye opening for many people. Kuddo’s to you for starting this project! I am excited to see and hear more about this project in the weeks and months ahead! WSM, I AM going to jump on this forum! I think it’s wonderful and our kids need to have some positive reinforcement in the way they see themselves. Plug away! It’s a great idea and I hope it catches fire soon. I want to see what others have to say about this! This is a GREAT idea and I can’t wait to see what you fine ladies come up with! Like I said before, this is a very cool project. Expect something from me sometime next week. Again, I love this idea. I love reading you and Tricia and I can’t wait to read up on Amy. Thanks for sharing this lovely idea and thanks for asknf me to participate with a post. My first boss used to tell me that if we didn’t toot our own horns, nobody else was going to do it for us.